We are always tempted to eat a lot of French food in Vietnam – all the amazing baguettes and well-priced wines and cheeses. These are not easy to find in other places in SE Asia and when you live abroad for a while it is hard to say no to a perfectly ripe cheese and a slice of bread. 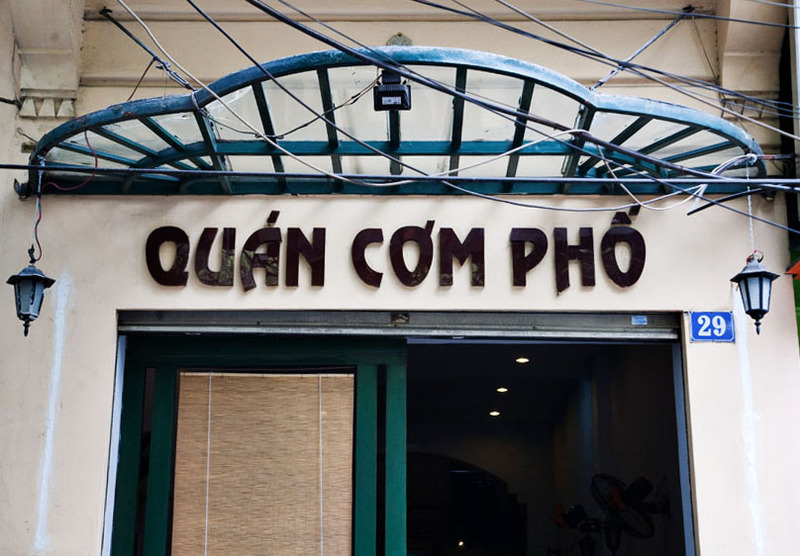 However, on our recent trip to Vietnam, we vowed to avoid sliding into this trap and we wanted to have a deep dive into Vietnamese food. And I am glad we did. The Bahn My sandwich was the sandwich of my dreams, Bia Hoi and boiled peanuts hit the spot as an afternoon refresher and Quan Com Pho restaurant was an excellent way to try lots of local foods with our large group. 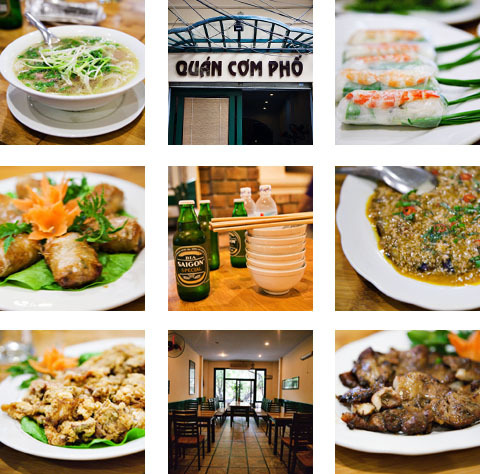 Quan Com Pho is in the Hoan Kiem district and just south of Hoan Kiem lake. 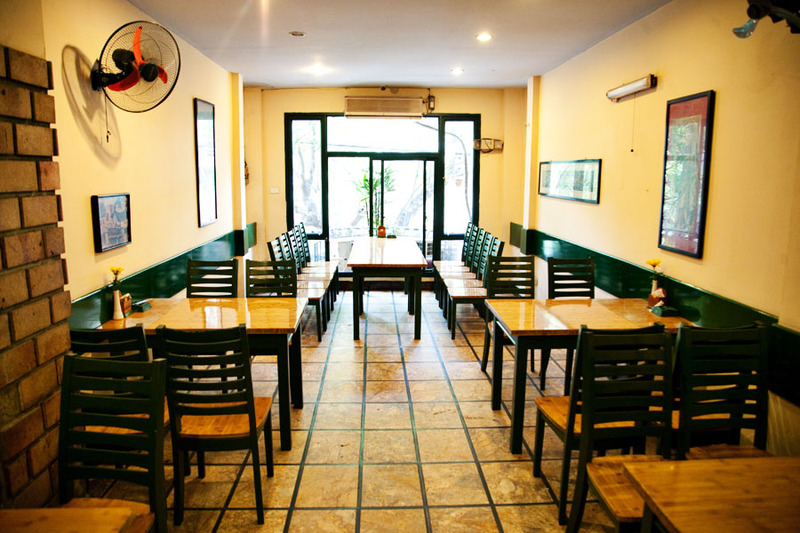 It is a simple restaurant in an old colonial style house. 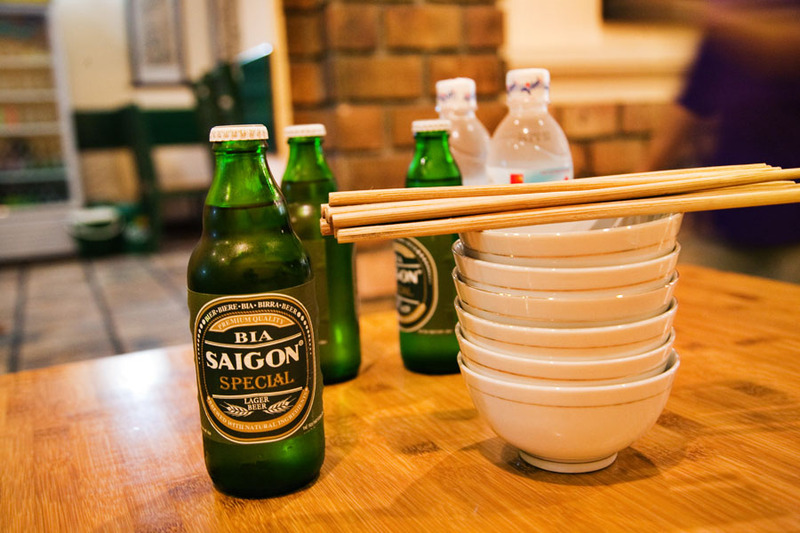 The wooden tables and chairs are rustic but not artistically so – it has the feeling of a street stall that grew up and formalized, a local neighborhood place where locals and expats go for well-priced Vietnamese favorites. 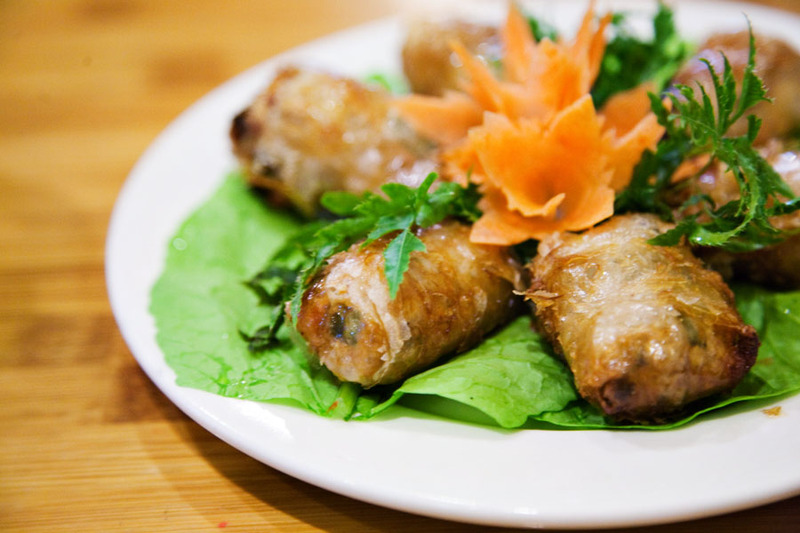 The average price of a dish is about 30 – 35,000 VND. There were about 8 of us on this recent trip, so we decided to order family style in order to try little bit of everything at Quan Com Pho. The menu was endless and so it was in fact hard to choose. 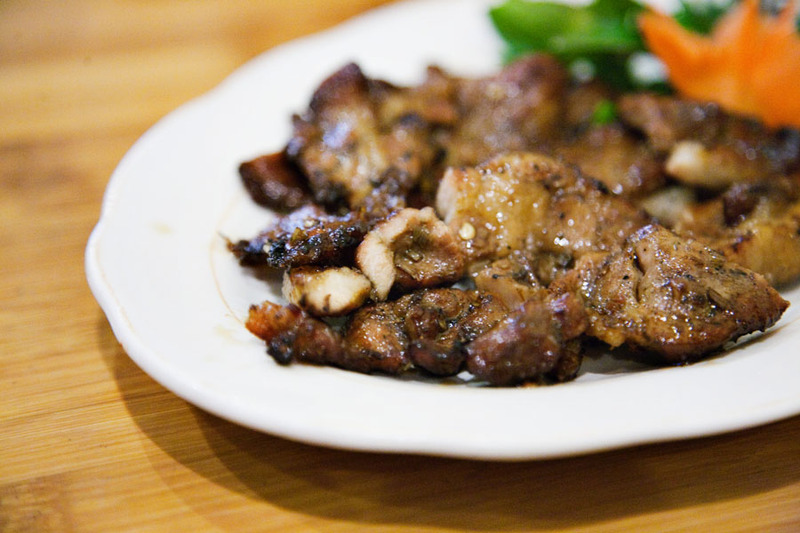 Lyan had already decided before we sat down that he wanted to have Nit Neo Nuong (grilled pork chop) and while it wasn’t on the menu, the kitchen happily complied. 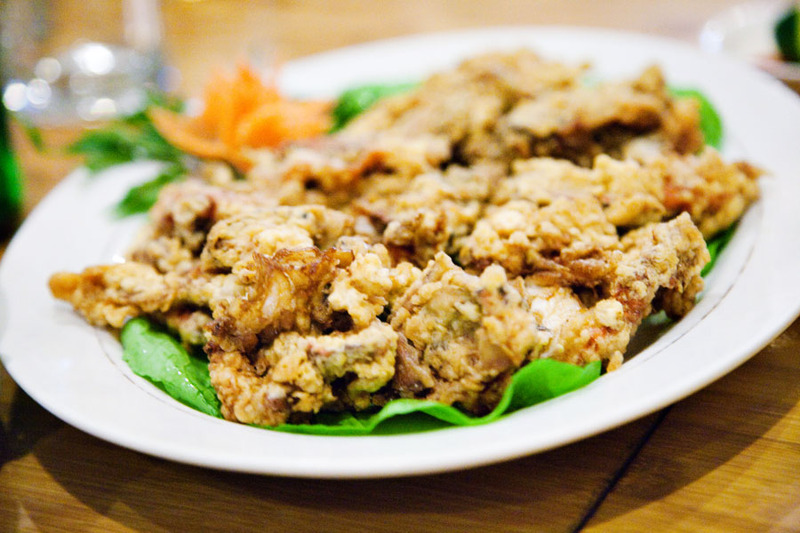 I have a soft shell crab fetish, so I pretty much will order this anywhere it is on offer. 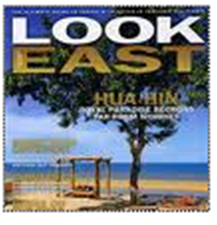 And of course, I was curious to try a Vietnamese version. The soft shell crab (Cua Lot Chien Bo) was in fact buttery, yet light. The simple preparation highlighted the flavourful crab. And it even made a convert out of a friend who typically doesn’t like crab. 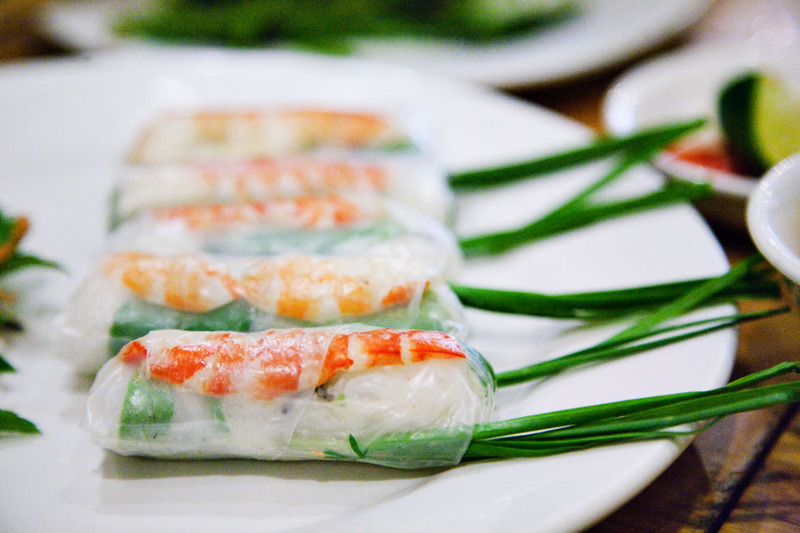 The Pho and spring rolls were good, but of course it isn’t hard to find good spring rolls or Pho anywhere in Vietnam. The only “miss” of the afternoon, we all agreed, were the chicken wings… a bit dry and “skinny” – I don’t know if the chickens are scrawnier here than in other parts of SE Asia, but there simply wasn’t much meat on the bone. 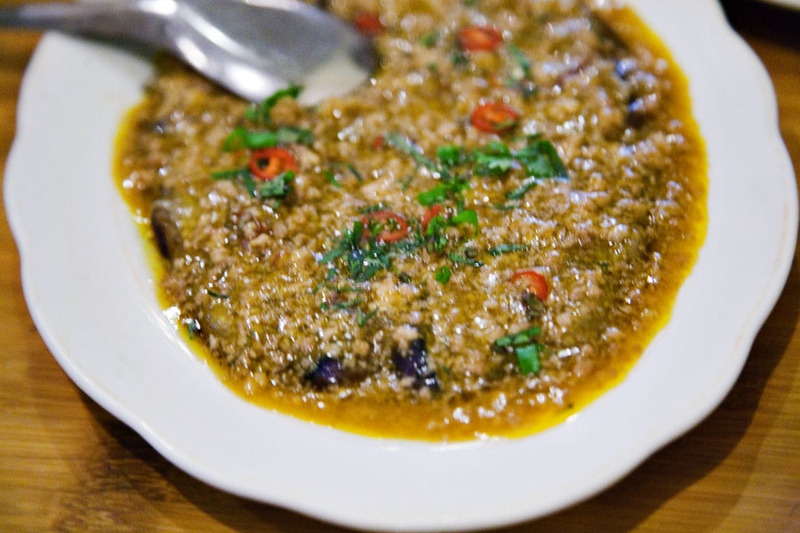 A real unexpected highlight was the grilled eggplant – another dish we ordered a second helping of. It was so rich and flavourful that it became the unwitting star of the show. 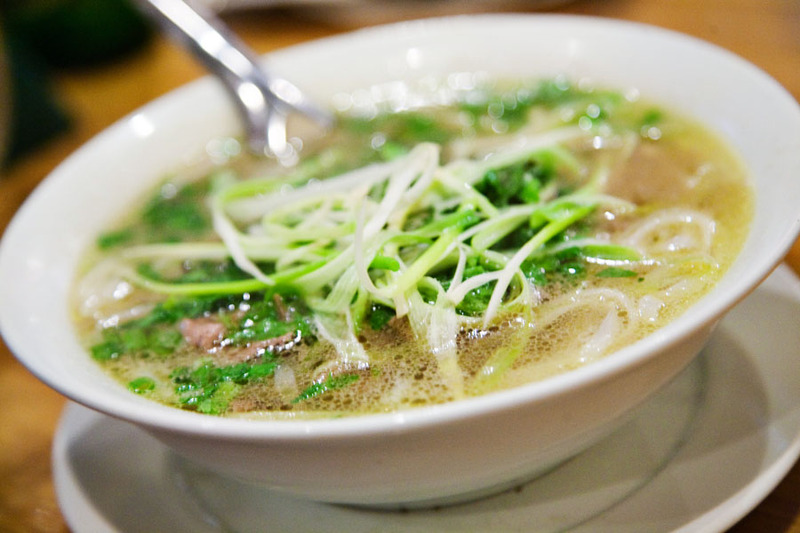 Quan Com Pho is definitely worth a try if you are in Hanoi. It’s nothing fancy, but that’s kind of what we liked about it. Good, simple and traditional food that well executed and tasty but also light on the wallet. 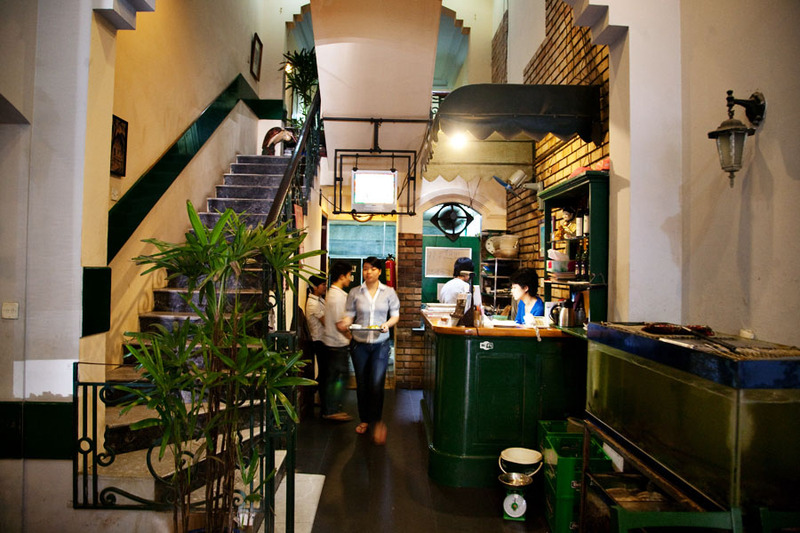 very nice…there’s a place in hanoi called Quan An Ngon which brings all the great street food inside a nice restaurant…great concept!